Some guy at Lake Minnewanka in Banff National Park. You can’t see it but he had a six-pack of Labatts in the water by his feet. click the image for the big version. 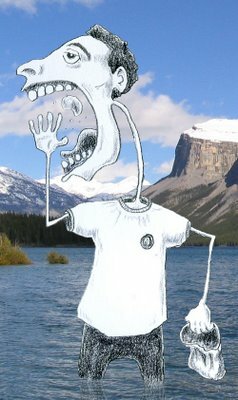 This entry was posted in Banff, collage, drawings, photo, vacation. Bookmark the permalink.